You are looking for a small money-clip pouch which looks chic and still fits all necessary items? 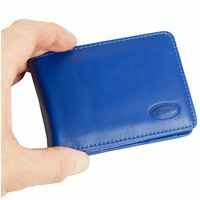 – Then this beautiful card holder made out of high quality water buffalo leather certainly is the right thing for you. 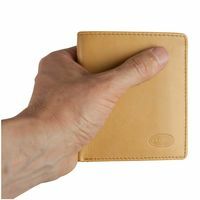 This leather ID holder pouch is very compact, because it has got a money clip which holds your notes easily and securely. 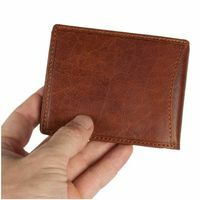 Alongside to that, there are enough slip pockets for you to also place your most important cards and you can even fit your old personal ID or your large-sized vehicle documents (This statement applies to GERMAN old, large-sized IDs etc.). 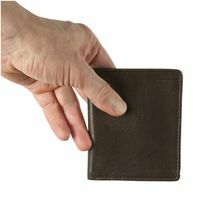 There also is a small coin pocket for your loose change. 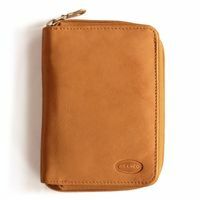 The wallet comes in the classic colours brown, cognac brown and black. 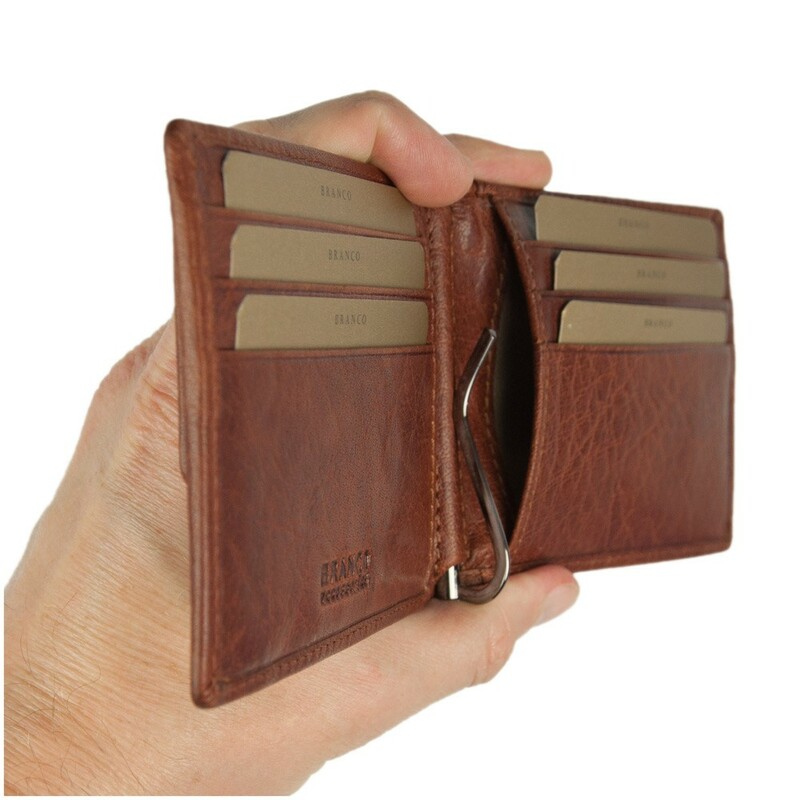 The compact leather ID holder has got six card slots in bank card format, e.g. for credit cards, debit card, insurance cards, membership IDs or customer cards. There are another two big slip pockets, e.g. for business cards. An additional slip pocket is A7 sized which means you can fit old, large-sized documents like the driver’s license, vehicle documents or the personal ID here (This statement applies to GERMAN old, large-sized IDs etc.). 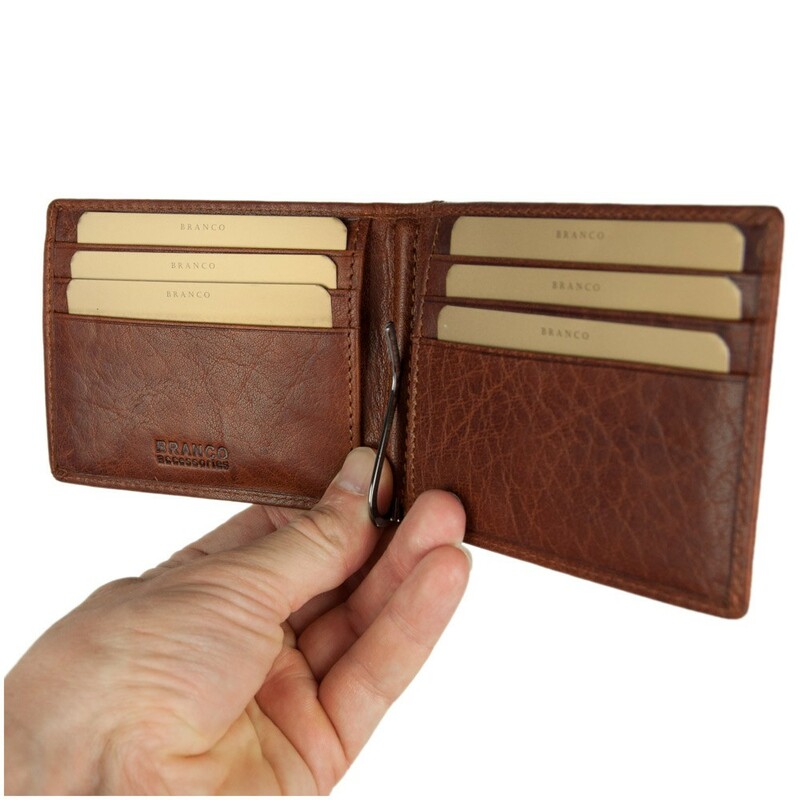 You can secure notes with the centred money-clip made out of metal. 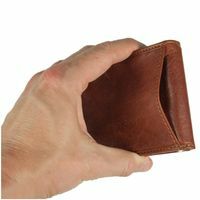 You can keep coins in the coin pocket which lies on the outside. Due to its compact dimensions, the money-clip wallet easily fits into every trouser pocket of the common format. 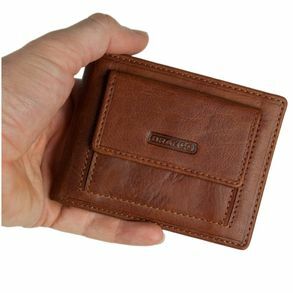 The billfold is made out of premium water buffalo leather with a vintage finish. This high quality leather lies very nicely in your hand and is processed very well. That way you will certainly enjoy this exclusive pocketbook for a long time. 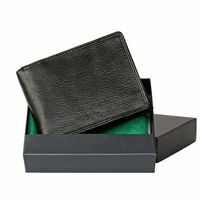 Or you delight someone else with it – this men’s pouch is also always a nice present, whether you want it as a gift for birthdays, Christmas or for any other occasion.